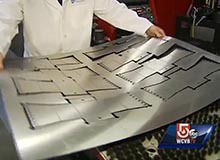 Framingham, MA – Sourcentra, a leading specialist in custom and off-the-shelf stock packaging, printing and premium promotional items, is expanding its “concept-to-distribution” business model with new and innovative products. 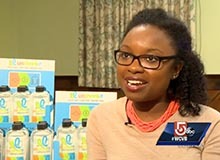 The products were brought to Sourcentra by inventors looking to bring their products to retail markets. 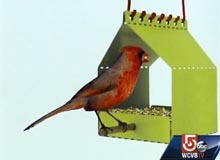 Developed by local inventor, Dave Laituri, the BRDI “Do-It-Yourself” project is a fun, flat/folding, powder-coated aluminum bird feeder. 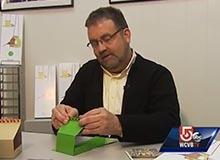 Created and manufactured right here in Massachusetts, BRDI comes in 4 bright, bird-attracting colors and is a unique way for young and old to start bird watching together. A few quick folds, that won’t break on the first couple of attempts, and a colorful cord are all you need. 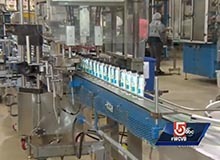 Sourcentra manufactures BRDI, packages it and handles all phases of warehousing & retail distribution. 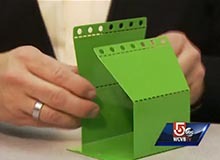 Click here to view BRDI’s appearance on WCVB’s segment, What’s New: Gadgets.